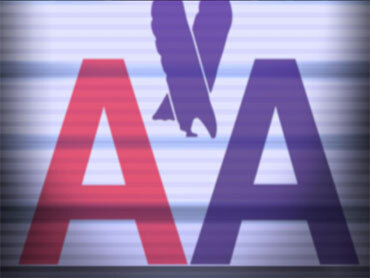 Seven puppies died after flying in the cargo hold of an American Airlines jet. American said it contacted the shipper who put the puppies on a Tuesday morning flight from Tulsa, Okla., to Chicago, and is investigating further. Airline spokeswoman Mary Frances Fagan said Wednesday the shipper put 14 puppies aboard Flight 851, which was scheduled to leave Tulsa at 6:30 a.m. but was delayed an hour by storms in Chicago. American said on its website it won't carry warm-blooded animals if the actual or forecast temperature is above 85 degrees. As the plane sat on the tarmac in Tulsa, it was already 86 degrees before 7 a.m., according to the National Weather Service. Fagan said cargo holds carrying animals are routinely kept between 50 and 70 degrees. Baggage handlers taking the puppies to a kennel area at O'Hare Airport grew concerned because they looked lethargic. Employees tried to cool down the dogs, and they were taken to a vet's office, but five died initially and two others died later, Fagan said. Several of the puppies were headed to connecting flights. Fagan declined to identify the shipper or say whether American had taken animals from the same shipper before and, if so, whether there had been problems with any previous flights. "We don't disclose information about our shippers any more than we disclose information about our passengers," she said. In guidelines to customers, American says it reserves the right to refuse to ship aggressive animals or one that "does not appear fit to travel." It also says it won't take dogs or cats that have been sedated. It asks shippers about each animal's breed, size and age. Fagan said dogs and cats must be at least eight weeks old. She said she didn't know the breed or breeds of the dead puppies. Last month, the U.S. Department of Transportation said short-faced dogs such as pugs and bulldogs accounted for about half of the 122 dogs that died during U.S. flights in the last five years. Veterinarians say those dogs are more likely to have breathing problems. The department said the deaths were an extremely small percentage of the total number of pets carried by airlines. The American Society for the Prevention of Cruelty to Animals recommends that owners avoid shipping pets in the cargo hold. "I always hated signing those papers to ship them" in the cargo hold, said Rocky McKelvey, regional medical director in Texas for VCA Animal Hospitals and a veterinarian since 1981. "I'd like to see them in the cabin."